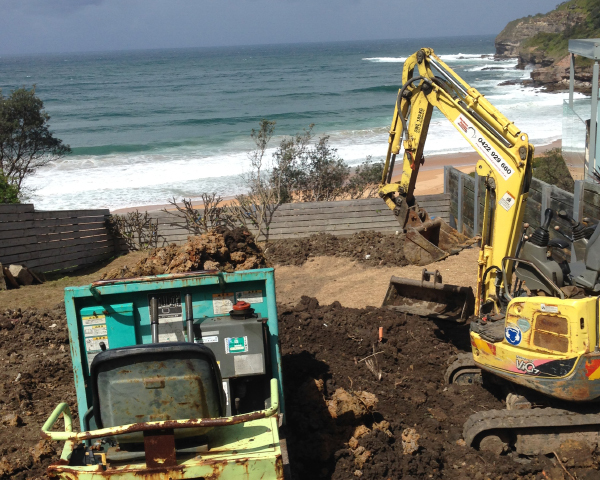 With high property prices on the northern beaches, maximising the usable area of your property makes a lot of sense. 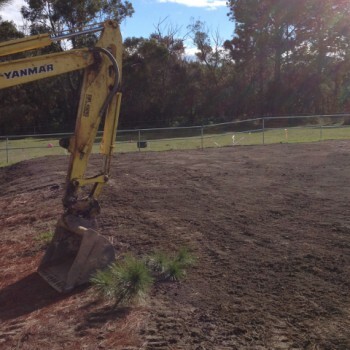 Northern Beaches Earthmoving is experienced in yard levelling and landscaping preparation, and can work with the customer to come up with solutions to get the best possible outcome. Houses often have inconveniently raised back yards, making them impractical and even dangerous for small children. 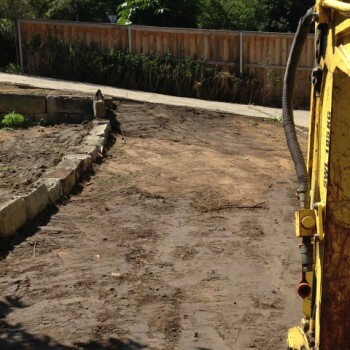 The investment in excavating the raised back yard is worthwhile and great for the whole family. 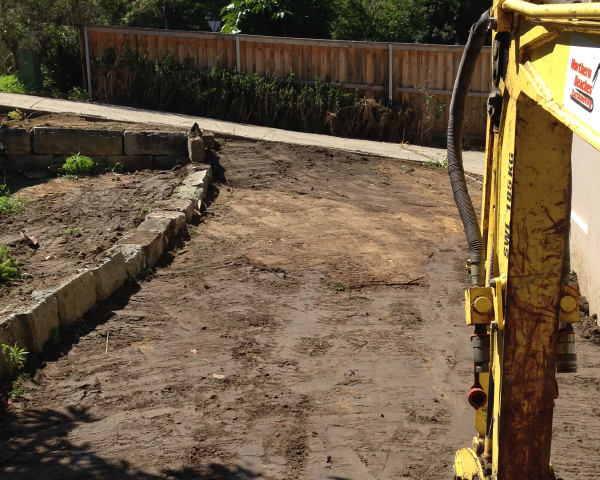 Difficult access to back yards can be solved by using the 2 Tonne Excavator, which has retractable tracks and can be reduced to a width of only 960mm. 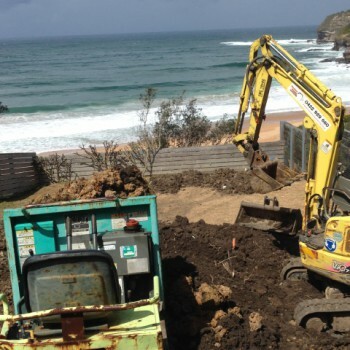 Other options such as craning the machine onto the job can also be a solution. 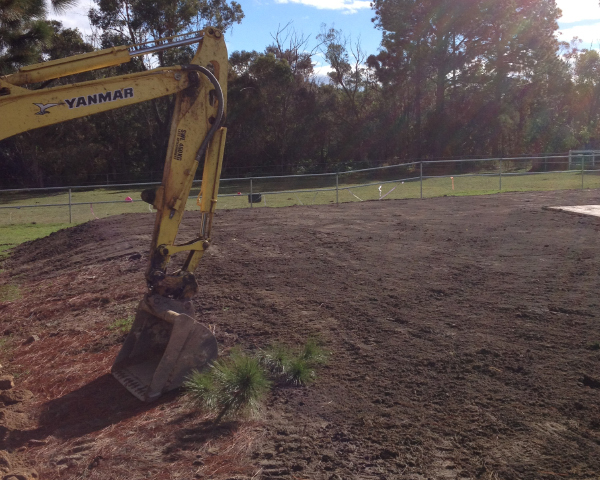 Northern Beaches Earthmoving can do structural landscaping including preparation, garden beds, retaining walls, excavation for drainage, excavation for storm water tanks, and many other landscape related jobs. 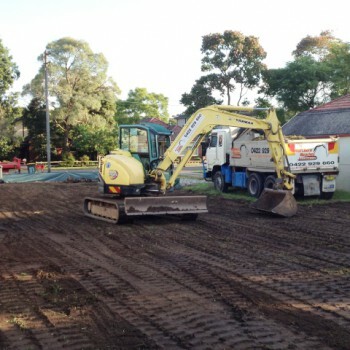 Depending on access, the 2 Tonne, 6 Tonne and 8 Tonne Excavator, the Skid Steer Loader, Rock Grabs and Shaker Bucket can be used. The Shaker Bucket can be used to sort soil from rocks, green waste and tree roots from soil, leaving usable soil and reducing the need and cost of tip fees and of importing new soil. 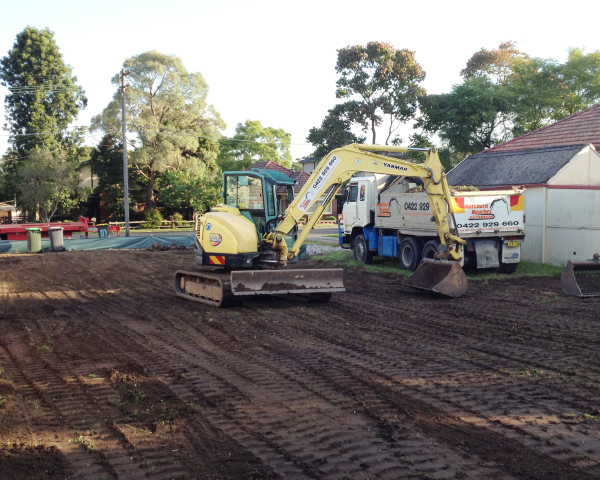 Northern Beaches Earthmoving is also experienced at stump removal and has removed stumps bigger than a car.